Babies don’t keep. Let’s preserve this precious time together. 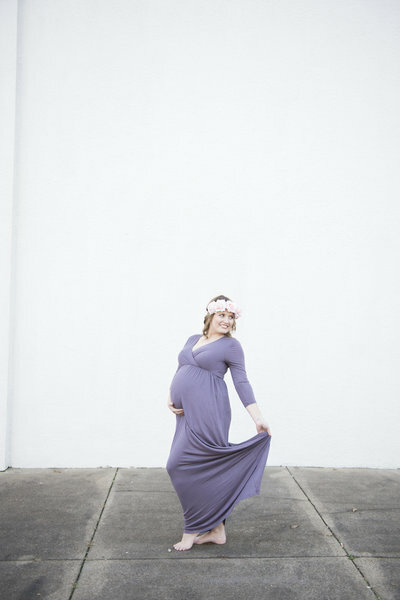 filled with appointments, building the perfect registry, and now you’re looking into scheduling a maternity & newborn photographer to document this special time. All of this is uncharted territory and you have so many questions and to-do lists to complete before your little one arrives. I’ve been in your shoes (the comfortable ones. Probably flip-flops because that was all that fit.) A new mom, a diaper bag filled to the brim, and anxious as can be… mainly because a human just exited my body only a few days prior. I remember that time like it was yesterday. 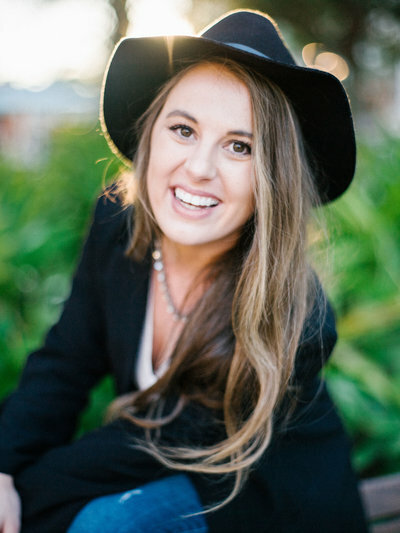 You have no idea when to book your session. What on Earth are we supposed to wear? Does the baby even wear clothes for photos? 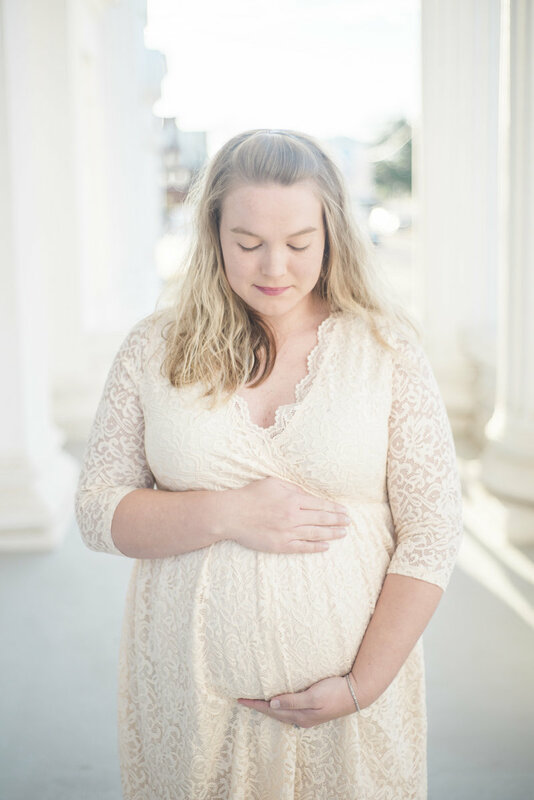 Motherhood photography is for moms who are expecting or recently had a baby (up to 1 year- my personal favorite sessions are when the babies are 6 months. Such a precious time!) Of course, clean, timeless and beautiful photos are a given, but I also aim to make our time together comfortable and enjoyable. We’ll discuss the total Kayla Brint Motherhood experience at your consultation. the Kayla Brint Motherhood experience. First, before the baby arrives, I’d love to invite you into my studio for a consultation to discuss your session and I’ll gladly answer any questions you may have. I also have a curated wardrobe of dresses that you are welcome to try on or to inspire you before you go shopping. You’ll leave our time together relieved! You know exactly what to expect, and you will be SO excited! Motherhood session is relaxed and stress-fress. If baby is already here, it is filled with lots of cuddles, as many feeding sessions as their heart desires, and of course, tons of amazing photos. There is never any rush! Full disclosure: I always get a venti coffee before every session. I enjoy my coffee and your company while the baby feeds and is being rocked back into dreamland. This is where things get real fun! You will visit me in the studio to see all your beautiful photos on a larger than life screen and set to music. From there I will assist you in selecting the heirloom products of your choice. Want to see what your images will look like on your walls before investing? GREAT! I can do that for you digitally so that you will know exactly how it will look in your home before you invest. I have selected several dresses that I know look good on camera. You are welcome to choose a dress from my wardrobe or simply let them inspire you before you go shopping. Every investment per client is different based on their heirloom choices. The average client spends $1,000-$2,000 on heirlooms or digital files. To ensure I am able to serve you, contact me 3-6 months prior to your due date. If you're still reading this, you're my kind of mom! FAQ: HOW OLD IS A NEWBORN DURING THEIR SESSION? 4-14 days is the best time to schedule your session. Of course, baby may come a little early or late. No problem! Just have someone contact me when he/she arrives, and I’ll make sure to get him/her in during that time frame.